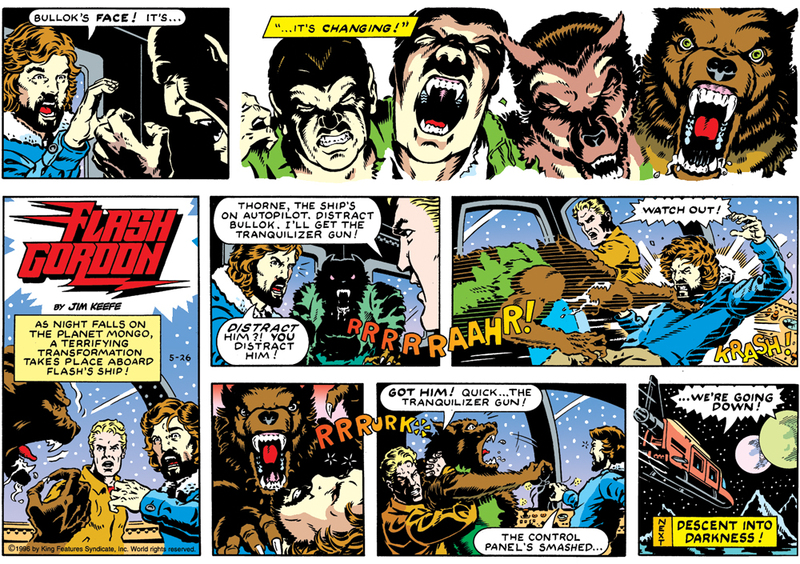 I recently found some Flash Gordon pages of mine online (courtesy of The Lost World) that had been reprinted in comic book format in India. I dug out the original Sundays (circa 1996) so you can see how they were cut and pasted to fit into a vertical comic book page. This is in Bangla, one of the Indian languages. 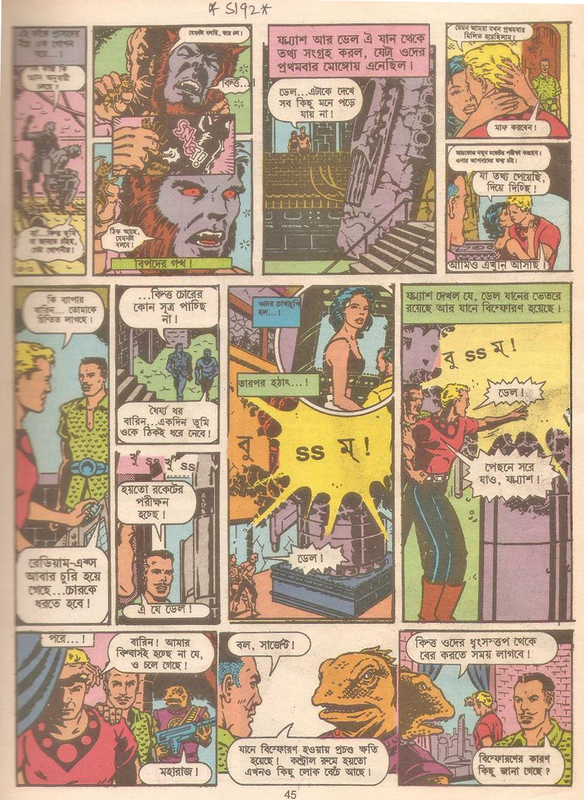 Flash Gordon was published in eight languages in India by Indrajal Comics and Comic World; Hindi, English, Kannada, Telugu, Tamil, Marathi, Bangla and Gujrati. 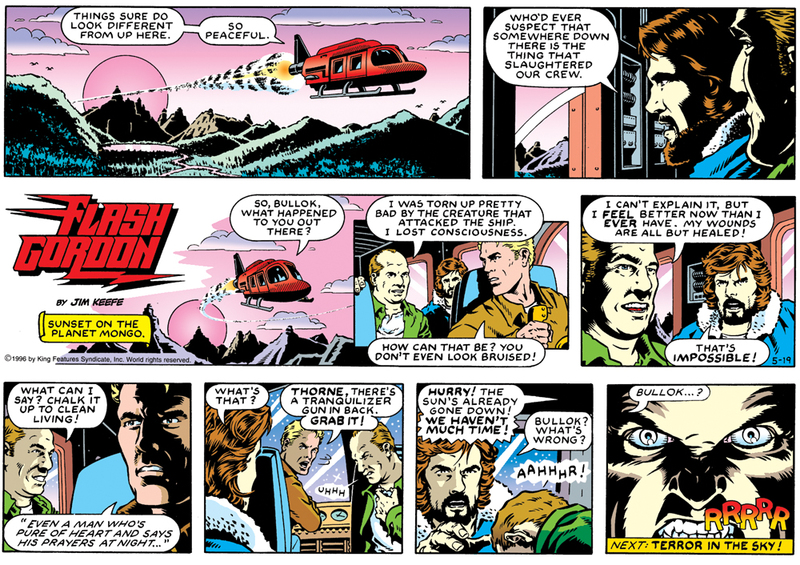 Flash Gordon was one of the most popular characters in the 70s-80s and still enjoys a massive fan following in India. Click on the artwork to enlarge. Original Sunday pages (minus the drop panel). I am woefully ignorant of many of the outstanding cartoonists in other countries. 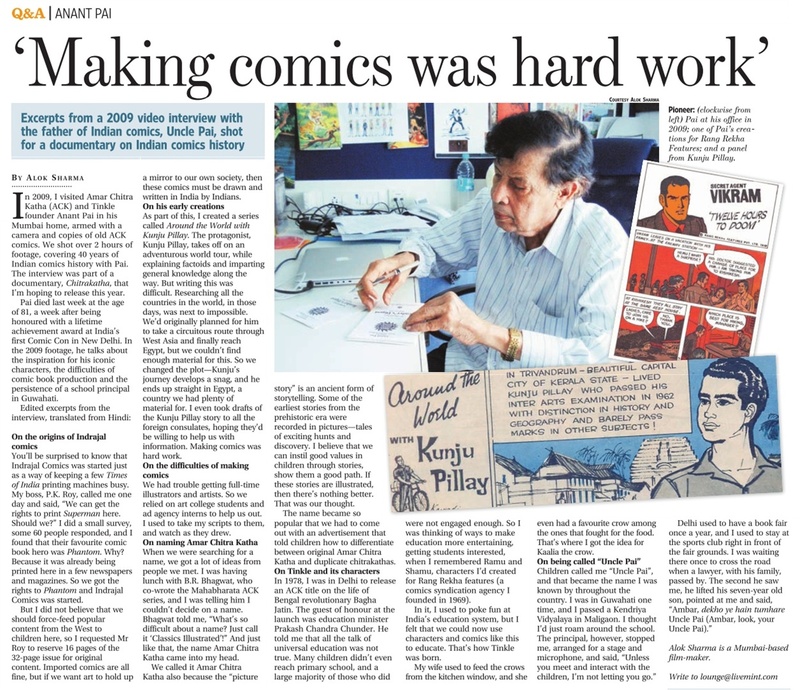 That said, here’s Alok Sharma once again with an article he did on the father of Indian comics, Uncle Pai (1929-2011). This entry was posted in Artists - Cartoonists, Flash Gordon and tagged Flash Gordon, Uncle Pai. Bookmark the permalink.